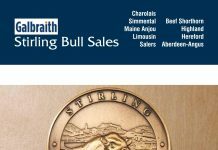 The regional competitions, open to all pedigree Limousin herds in the respective areas, saw the appointed judge in each region put forward an overall winning herd. 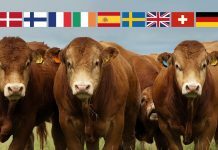 With regional judging completed through August, the nine winning herds now go head-to-head in a National Final judge-off to determine the 2011 National Limousin Pedigree Herd Overall Champion. 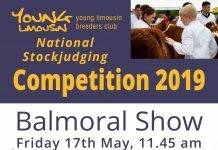 Currently moving around theUKand judging the National Final is noted breeder, and current Hon BLCS President, Mr Sam Coleman of Glarryford, Ballymena, N. Ireland. 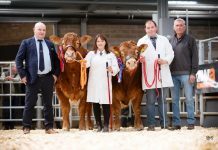 The North Yorkshire Limousin herd of James & Sarah Cooper, Tomschoice Limousins, Hill Top Farm, Dacre are the North East regional herd competition winners and now go forward to the National Final. 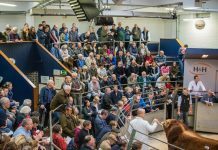 The North East region has over 220 registered members and the Coopers faced strong competition from within the area said James Cooper. 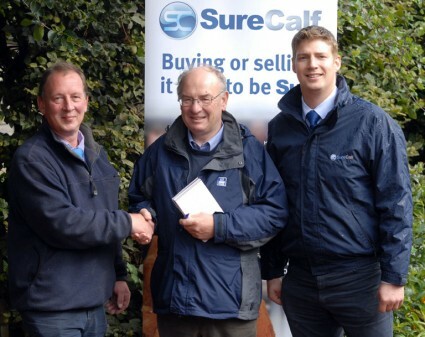 “We’re delighted to have won the North East regional award and to be nominated nationally is a tremendous achievement. We have a small farm of 32 acres and run a herd of 25 Limousin cows and followers. 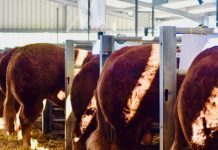 Our breeding programme is therefore focused on producing top quality pedigree animals owing to the limited acreage involved,” he said. 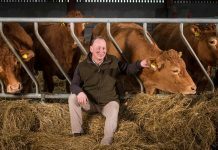 National Judge, Mr Sam Coleman this week visited the nine UK regional winners and was accompanied around the Coopers’ Tomschoice herd by Pfizer representative Rob Smith. 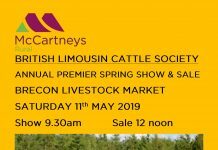 “Pfizer is delighted to sponsor this major UKaward as part of the Limousin Society’s 40th Anniversary celebrations. The competition was originally open to all the Society’s 3,000 members and James & Sarah Cooper are very worthy representatives of the North East region,” Rob said. 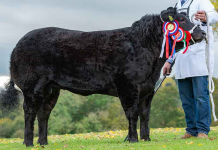 The Coopers established the Tomschoice herd in 1996 and have achieved success in the show ring as well as at auction. 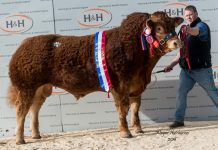 Amongst several noteworthy homebred show winners are Tomschoice Elgar, the Great Yorkshire Supreme Male Champion 2010.